Ajax midfielder Frenkie de Jong looks to have accepted a £67million transfer to Barcelona, snubbing the likes of Manchester United as an official announcement looks imminent. The Netherlands international is one of the most highly rated young players in Europe at the moment, and has been strongly linked with United, Manchester City, Paris Saint-Germain and Real Madrid in recent times. Well-connected Barca reporter Mootaz Chehade, however, claims the deal is now close to becoming official, with an announcement expected this week. After Toulouse defender Todibo, Frenkie De Jong is Barcelona's most recent acquirement for next season from Ajax. Official announcement expected this week. This is a blow for United, who need a new signing in midfield after a total lack of impact from summer signing Fred this season. Meanwhile, players like Nemanja Matic and Ander Herrera have also had mixed seasons, and De Jong is clearly a quality young player who’d be an ideal long-term solution in that position. 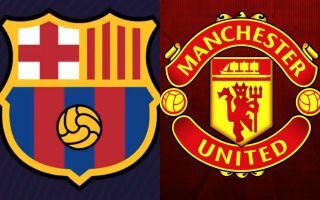 Still, it now looks too late for MUFC to hijack De Jong’s move to the Nou Camp, so they’ll have to turn their attention towards another potential midfield additions. Players like Toni Kroos and Ivan Rakitic have also come up as options for United in recent months, though one imagines a priority this January is for a new signing at centre-back.